Lionel Messi is an Argentine professional footballer who plays for the Argentine national team and Spanish club FC Barcelona. Messi is considered to be one of the greatest footballers of all time, having won five Ballon d’Or awards. He is the leading goal scorer for his national side and was a part of the gold medal winning team at the 2008 Summer Olympics in Beijing. According to Celebrity Net Worth, Lionel Messi’s current net worth is $340 million approximately. Messi earns a significant amount from his present contract with FC Barcelona. He signed his last contract extension with the club in November 2017, tying him with the club till the end of the 2020-21 season with a buyout clause of €700 million. His current salary is $44.68 million or £31.91 million. Messi is currently the second highest paid footballer in the world with an estimated total of $80 million or £57.1 million in earnings through his commitments as a FC Barcelona and Argentina national team footballer. Messi takes a keen interest in investing in properties back in his native Argentina. He has investment in the Azahares del Parana project in Rosario as well as in an apartment building in the city centre. 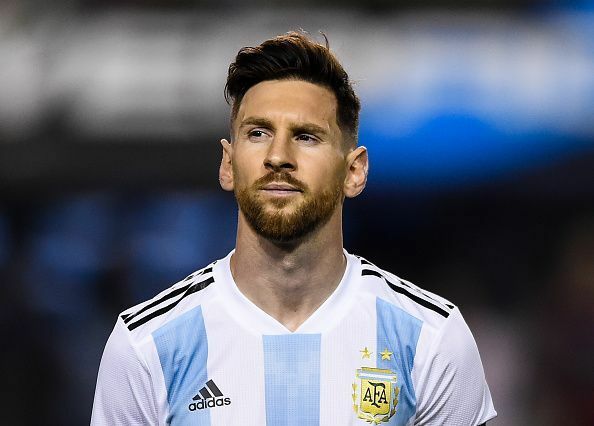 Although salary is the primary source of Messi's income, he also earns a good amount through his lucrative sponsorship deals with companies like Pepsi, Adidas, Dolce & Gabbana, Air Europa and Gatorade. Lionel Messi is also the global brand ambassador of Tata Motors. Tata Motors named a car after Messi's son Thiago. In December 2017, Messi renewed his lifelong deal with Adidas. The German company now contributes half of Messi's $27 million earnings in endorsement income. When Messi married Antonella Roccuzzo, he asked for donations to his charity Leo Messi Foundation instead of wedding gifts. The initiatives undertaken by Leo Messi Foundation are generally related to vulnerable children and their healthcare. Messi was appointed the ambassador for UNICEF in 2010. He has worked with them since 2004. 30 Player of FC Barcelona, Argentina national side, Endorsements. Rosario Pepsi, Adidas, Dolce & Gabbana, Air Europa, Gatorade and Tata Motors. Cristiano Ronaldo | Messi | Neymar | Marcelo | Why Do So Many Footballers Commit Tax Evasion? What Famous Defenders Said About Messi?